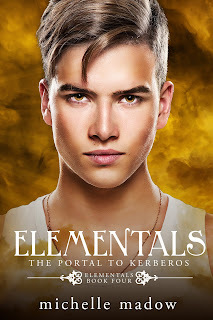 Omdat ik lid ben van Michelle's street team, mag ik de cover onthullen van het vierde boek in de Elementals-serie, The Portal to Kerberos! Maar eerst wat achtergrond informatie. 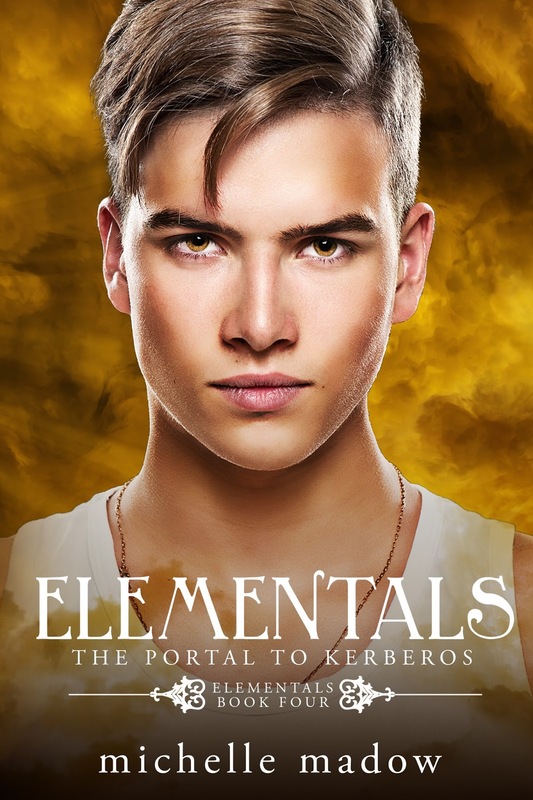 Filled with magic, thrilling adventure, and sweet romance, Elementals 4: The Portal to Kerberos is the latest instalment in Michelle Madow's exciting Elementals series. Follow Nicole and her fellow Elementals as they journey to a new and dangerous world to save one of their own, battling monsters and trying to keep their sanity in a prison dimension designed to make them lose their minds. She will venturen into hell to save the one she loves. After being betrayed by one of their own, Nicole watches helplessly as Blake is snatched into the prison world of Kerberos - along with Medusa's head, which is the one item they need to stop the Titans from rising again. Now Nicole and the other Elementals must enter the portal, find Blake, and bring him and Medusa's head back to Earth before the deadly monster Typhon returns and wreaks havoc on the world. But there's one catch - their elemental powers don't work in Kerberos. In a dimension designed to make those within it lose touch with reality, and that's filled with dangerous creatures who want to stop them from completing their task, will they make it out alive? In this penultimate book of Nicole's story, join the Elementals as they journey through hell to save the world... before it's too late. Michelle Madow writes fast-paced YA fiction that will leave you turning the pages wanting more! Voor meer informatie over de uitgever, klik hier. Wat vind jij van de cover van The Portal of Kerberos?